(Coffee Paradigm is now closed) Here's a review that came in from a reader on December 12. Thank you so much for your blog. 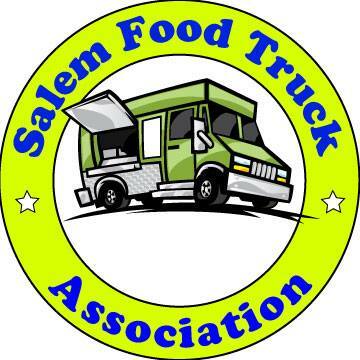 We have learned a lot about Salem restaurants from you and we really appreciate your advice. I just wanted to tell you about Coffee Paradigm in Keizer in case you haven't tried it. They are at 4765 River Rd N. In my opinion they make the best espresso drinks in Salem/Keizer area. We like it so much we organize our errands so we can stop in there as often as possible. Their espresso drinks are smooth (not bitter like most of the coffee places in Salem) and the sandwiches, soup and cookies are great. They have ceramic cups for their "for here" drinks and real plates and bowls for their sandwiches and soups instead of paper. The café is spacious, the tables are really comfortable, the décor is nice and they play pleasant background music. The place is spotlessly clean. There's a comfy couch and a copy of the paper for customers. There are also plenty of tables to hang out and study at or play cards or board games at. We go there a few times a week to have the soup and stay for coffee and play cribbage. The owner and her staff are very friendly. After we went there about half a dozen times most of the baristas had memorized our drink orders. Also, their customers seem to be really nice. I think that people enjoy hanging out there so much that it puts them in a good mood. A lot of other customers have chatted with us while we've been there. If you get one of their frequent buyers' cards every tenth drink is free. You can put money on your card if you like but you don't have to; you can still be in their frequent buyer's group. Once you're in their system you don't have to have the card with you to get credit for your drink, you can just tell them your name. They also have a drive through window where the service is just as good as indoors. I am so glad that we found this place. We really like to go out for coffee; it's a nice low cost break that gets us out of the house. I really like the atmosphere at the Beanery but their espresso drinks are so bitter that it gives me a stomach ache. Also it can be hard to find a comfortable table there. We also tried Coffee House Café because we'd heard great things about it but their drinks were bitter too (in my opinion) and it's pretty run down, though I guess some people think that it's funky and charming. I hope you'll give Coffee Paradigm a try. I have a vested interest in it because I love going there so much. I hope that their business is really successful. They sure deserve to be. Thanks for letting me tell you my opinion about Coffee Paradigm! Different places use different coffee roasters. I suppose it's all a matter of taste. At the Queen of Tarts Cafe in the Salem Library we used to use Portland Roasting www.portlandroasting.com. we found it to be very nice. Quickies kiosks use it also. We have since changed to a newer company called Cape Foulweather www.capefoulweather.com. It is very smooth and never bitter. The 2 female owners are out of Lincoln City. Coffee Paradigm uses coffee beans from Longbottom Coffee & Tea in Hillsboro, Oregon. Roasted using a hot air roasting process that assures a rich, full flavor with no hint of bitterness or burnt taste that results from over roasting. I have a sensitive stomach and avoid coffee with a high acid content, BUT I love a good dark roast. Allann Brothers is the only coffee I've had consistent problems with. Do you know of anyone who uses Sivetz Coffee from Corvallis? I was pleased to see that Coffee Paradigm served a full breakfast. It seems me Coffee Paradigm is without question a place not to be missed, the owners are really nice, and the staff is very accommodating. Without question: the best coffee shop in Keizer. i am excited to try this place. i have been looking for good coffee. i love french press. i tried breakpoint today with high expectations. sadly, the inept service and lackluster coffee did not impress. I havent been inside yet, just the drive thru. The coffe is very good but he service is lacking. I've been stuck in line waiting for the young lady to finish her conversaton with a friend that wasnt even ordering anything, saw another girl lick her fingers after spilling my drink on herself and have been charged three differnt prices for the same drink on three diff. ocasions. Everytime I enter the drive way I wonder...Is it relly worth it? Weird, everytime I go through the drive thru the girl in the afternoon is super nice and cute. I think every barista is different. Try going in the afternoon?